KEW GARDEN, N.Y., October 10, 2017	(Newswire.com) - Automated carrier portal BridgeVoice Pluto was declared as the winner of Carriers World Award 2017 in the technology innovation category. BridgeVoice Pluto is the result of expertise in retail and wholesale voice termination, fortified by a strong backbone of technology. The interactive trading platform has bridged the gap between carriers and operators. BridgeVoice Pluto gives retailers direct access to the operators thus reducing the limitation/restrictions they face while doing business as per the traditional model. Now with Pluto, wholesale VoIP termination service providers can engage in business with global operators from anywhere in the world, and generate a stable revenue stream in an unstable and unstructured telecom ecosystem. BridgeVoice Pluto is also available as a white label service. The wholesale carrier platform as a service - is a solution for go-to-market strategists who are in search of minimal CAPEX and reduced OPEX product that ensures revenue growth. The award underscores BridgeVoice's commitment to providing VoIP service providers and carriers worldwide with seamless access to an expansive universe of customers and partners. 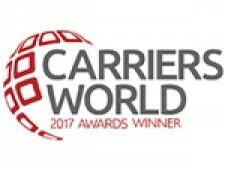 Carriers World announced a line-up of finalists. Winners were then determined from the votes garnered from industry peers, competitors, vendors and clients. Around 41,000 votes were registered in 11 categories and a winning entry was sealed. Winners received their awards at an event hosted by Total Telecom to celebrate the 20th anniversary of Carriers World on Sept. 26-27 in London. An ICT leader offering ultimate Voice & SMS Carrier Solutions worldwide. We automate telecom businesses through an online carrier platform, BridgeVoice and indigenously developed BSS, NSS & Mobile Finance Solutions. Celebrations Galore! Bankai awarded as the Best Voice Carrier Solutions Wholesaler 2017 by the APAC Insider Singapore Business Awards.